In advance of Maryland’s Republican primary tomorrow, here are 10 important facts about Latinos and immigrants in the state. These facts display the economic, cultural, and electoral power of Latinos in Maryland. 1. Maryland’s foreign-born population is growing quickly. The Latino share of Maryland’s population grew from 2.6 percent in 1990 to 8.2 percent (or 474,451 people) in 2010. The Asian share of the population grew from 2.9 percent in 1990 to 5.5 percent (or 318,229 people) in 2010, according to the U.S. Census Bureau. 2. In 2009 El Salvador, India, and mainland China were the top three home countries of foreign-born Maryland residents. Of the total immigrant population in Maryland in 2009, 11.3 percent were born in El Salvador, 6.4 percent in India, and 4.7 percent in China (excluding Taiwan). 3. Close to half—44.9 percent or 361,000 people—of Maryland’s immigrants were naturalized U.S. citizens in 2010. Naturalized citizens are eligible to vote. 4. Maryland has many legal permanent residents (green card holders), so there will be more future citizens and voters. Of the 230,000 legal permanent residents in Maryland, 35 percent were Latino and120,000 were eligible to naturalize as of 2010. 5. 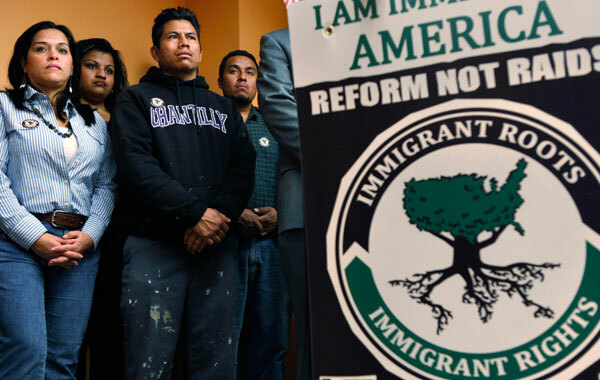 In 2011 Maryland passed a state-level DREAM Act, which a voter referendum now threatens. On May 10, 2011, Maryland Gov. Martin O’Malley (D) signed into law a statewide DREAM Act that allows undocumented students to pay in-state tuition to attend their state universities. The act is currently challenged by a referendum to be held in November 2012 and was placed on hold until that time. 6. Maryland is not immune to countywide anti-immigrant measures. Frederick County allows local police officers to enforce federal immigration laws. Under the law anyone arrested for a minor offense can be prosecuted and deported for immigration violations. 7. Immigrants are a significant part of Maryland’s workforce. Immigrants comprised 17.9 percent of the state’s workforce in 2010 (or 572,584 workers), according to the U.S. Census Bureau. 8. Maryland needs its undocumented immigrant population. The state would lose an estimated $15.3 billion in economic activity, 73,267 jobs, and $6.8 billion in gross state product if undocumented immigrants left the state. 9. Latinos and Asians contribute significantly to the state’s economic well-being. The 2010 purchasing power of Maryland’s Latinos totaled $13 billion—an increase of 628 percent since 1990. The state’s 25,774 Latino-owned businesses had sales of more than $4.3 billion and employed 25,019 people as of 2007, the last year for which data is available. Maryland’s 35,881 businesses had sales and receipts of $11.3 billion and employed 71,408 people as of 2007. In 2010 undocumented immigrants paid $275.2 million in state and local taxes. 10. In Maryland immigrants excel academically and contribute to the economy as students. During the 2009–2010 academic year, foreign-born students paid $419 million to the state economy in tuition, fees, and living expenses. According to the Migration Policy Institute, the number of immigrants in Maryland with a bachelor’s degree or higher grew by 47.3 percent from 2000 to 2009.